Ben is an activist, volunteer, and outdoor adventurer in Halifax. 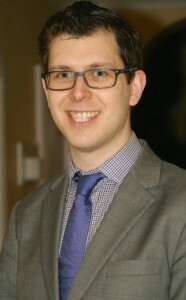 Since completing his degree in Industrial Engineering at Dalhousie University he has worked for two consulting firms, held leadership roles at three local non-profits, and written a master’s thesis focusing on improving the performance of our healthcare system. When he’s not working or volunteering, Ben can often be found sailing, running, skiing, or riding his bicycle. As a volunteer in Halifax, Ben chaired the Halifax Cycling Coalition through three years of exciting growth. Over this time he has honed skills in public engagement, meeting facilitation, and advocacy, helping grow the Cycling Coalition’s respected voice and influence in city politics. Ben hopes to use the skills gained at the Cycling Coalition to help others reach their full potential. The first challenge on Ben’s list is Global Shapers Halifax. Global Shapers Halifax organizes the city’s 100 Kids Who Care fundraiser, and is working to bring two new projects to the city in 2016 which will help others make Halifax an even better place to live. Ben’s writing has been featured in The Coast, Local Connections Halifax, the Dalhousie Gazette, the Dalhousie Sextant, and many other publications. He also posts occasional thoughts on his blog, Reimagining Halifax. Outside of his day job as a consultant, Ben hopes to help people and organizations grow. If this interests you, get in touch! Ben was born and raised on PEI – or more accurately, just offshore where he grew up sailing and ice fishing. He has lived in Halifax for almost ten years.